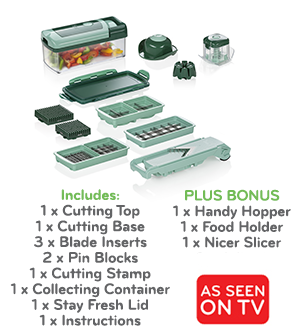 All With One Counter-Top Kitchen Set. 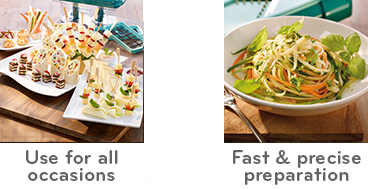 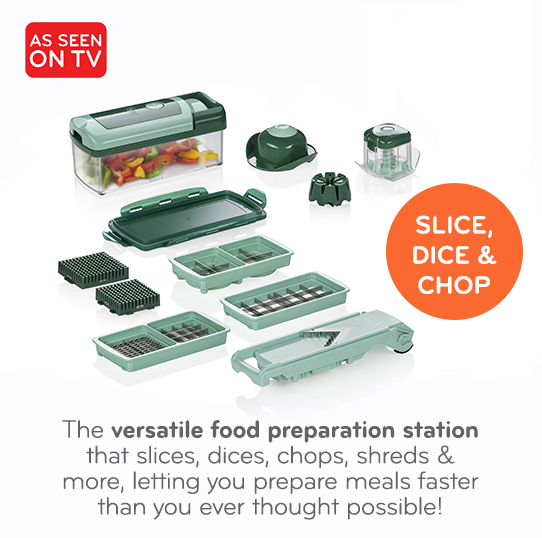 Prepare family meals and snacks at a speed like never before. 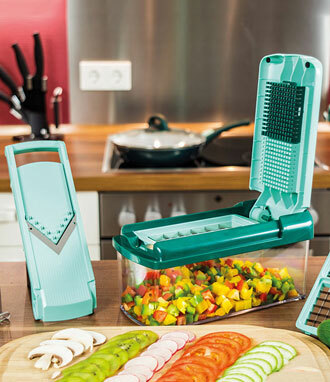 Nicer Dicer Fusion lets you slice, dice, chop, julienne, shred, grate, cube and quarter. 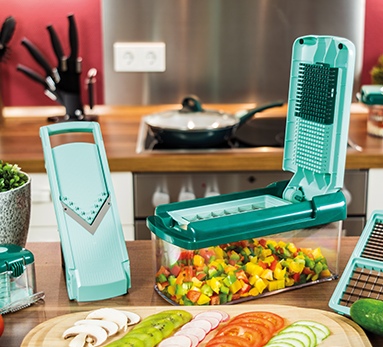 You’ll be able to save prep time and clean-up time by cutting all your food with one easy motion. 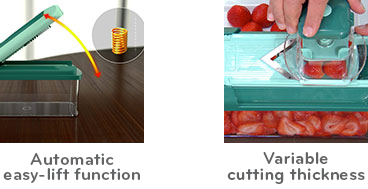 Once cut, the slices drop right into a container for fast serving and storage. 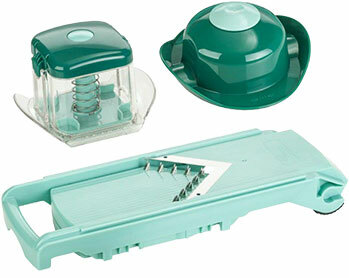 "Nicer Dicer Fusion” used under license.